Three months from now we will finally have in our hands the final book in Anthony Ryan's sophomore series, The Draconis Memoria. Will this finale be satisfying or will it suffer the fate of The Queen of Fire, the finale book in the author's debut series, which didn't really meet my epic expectations but a good story all the same. 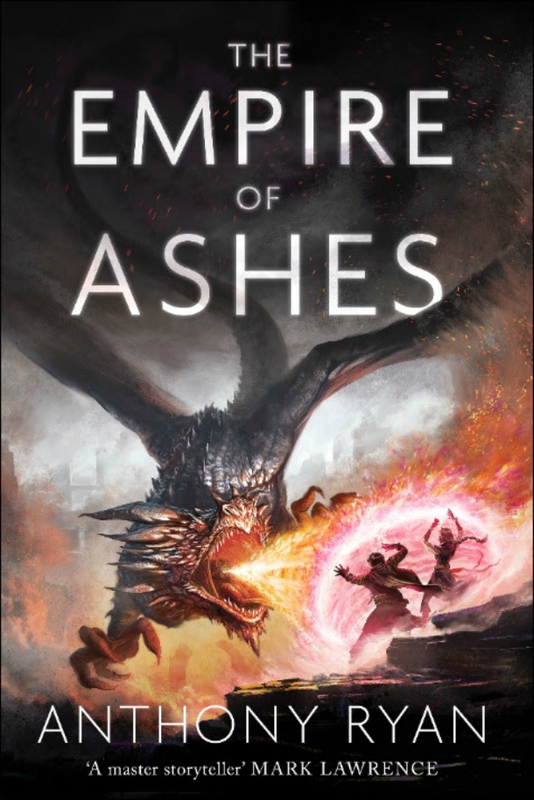 But before that comes we do have here the official cover of The Empire of Ashes and its nothing like you've expected. The art for the official cover was crafted by Leesha Hannigan. As you can see the final result is a drastic change from the covers of the first two book in the series that is because artist Larry Rostant used to do the art. To somehow maintain the continuity of the cover design we have Judith Lagerman and the Ace/Roc graphics team to thank for. that. 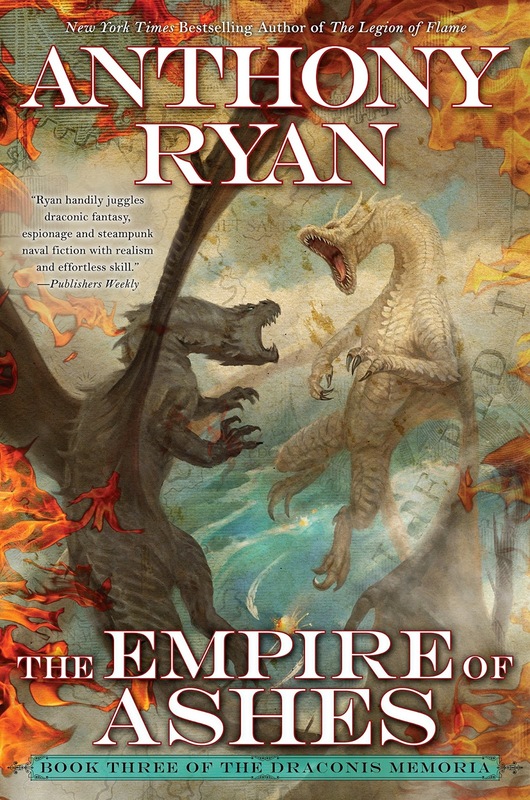 Check out the cover of The Empire of Ashes by Anthony Ryan. Here is the official cover for the UK edition, courtesy of artist Jeff Read, who took over from artist Jaime Jones since the second book, The Legion of Flame. The third book of epic conflicts and arcane intrigue in New York Times bestselling author Anthony Ryan's Draconis Memoria series. For hundreds of years, the Ironship Trading Syndicate was fueled by drake blood--and protected by the Blood-blessed, those few who could drink it and wield fearsome powers. But now the very thing that sustained the corporate world threatens to destroy it. A drake of unimaginable power has risen, and it commands an army of both beasts and men. Rogue Blood-blessed Claydon Torcreek, Syndicate agent Lizanne Lethridge, and Ironship captain Corrick Hilemore, spread to disparate corners of the world, must rely upon the new powers and knowledge they have gained at great price to halt its forces--or face the end of all they know. The Empire of Ashes by Anthony Ryan will be released on July 3, 2018.